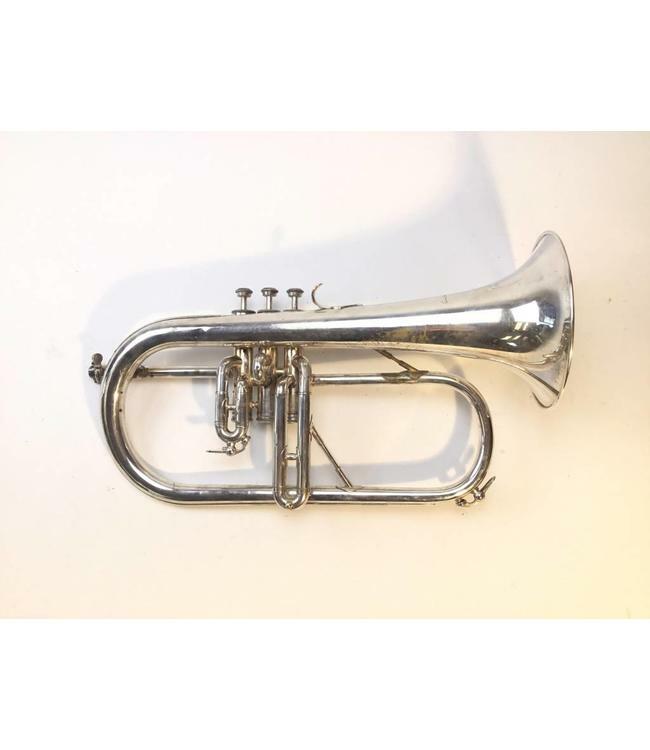 Used Courtois (Paris) Bb flugelhorn in silver plate. This instrument is in fair overall condition with minor wear and repair evidence throughout, not affecting playability. No case.